At the Wolfson Law Firm, we serve the good people of Weston who may have been injured in any type of accident. We provide free and confidential consultations. You never pay a fee unless and until we make a recovery for you. Our Weston accident attorneys are available to peak with you right now. Just call us toll-free at (855) 982-2067 or at (305) 285-1115 and let’s get to work on your case. If you were hurt while you a patient or visitor at a Weston Hospital, our Weston personal injury lawyers can help. 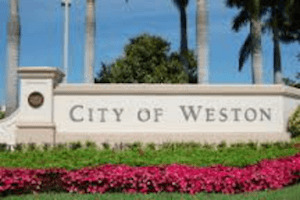 If you were injured in a Weston car accident, the Weston car accident attorneys at our firm can assist you in getting the justice you deserve. If you are receiving medical treatment at a Weston hospital after a slip and fall or trip and fall accident, our Weston slip and fall lawyers are ready to represent you and your loved ones. Of these choices, only the Cleveland Clinic offers 24-hour availability. Other local emergency rooms include Memorial West in Pembroke Pines and Memorial Miramar in Miramar. If you were injured while you were at a Weston hospital or medical clinic, you should consult with a Weston personal injury lawyer. Visitors, patients and employees get hurt in a variety of ways including slip and fall accidents; trip and fall accidents; negligent security; parking lot injuries; or car accidents. Even if you aren’t certain about someone else being responsible, you owe it to yourself and your family to at least investigate the possibility. Since all consultations are free and carry absolutely no obligation, a simple call to our Weston accident lawyers can be the first step towards getting the answers that you deserve. You can reach our Weston personal injury lawyers by calling our toll-free number (855) 982-2067 or at (305) 285-1115. We are available for appointments at our Fort Lauderdale offices at 101 NE 3d Avenue, #1500, Fort Lauderdale FL 33301 or in Miami at 3399 SW 3d Avenue, Miami, FL 33145. Our Weston accident attorneys can also come to you wherever it might be most convenient for you and your loved ones. We are even available to facetime or Skype with you. If you were injured in an accident, you are likely facing significant and difficult challenges. You and your family are now facing medical bills, lost wages and a disruption of your life. The least you can do is to find the best Weston accident lawyer to help you and your loved ones get through these trying times. Our Weston injury lawyers serve the people of Weston and the surrounding communities of Sunrise, Pembroke Pines, Southwest Ranches, Plantation, Miramar, Hollywood, Cooper City, Davie, Fort Lauderdale, Coral Springs, Parkland and Unincorporated Broward County. We are here to help you as well and we would be honored to speak with you about your Weston accident and injury. Call us today for your free consultation at (855) 982-2067.